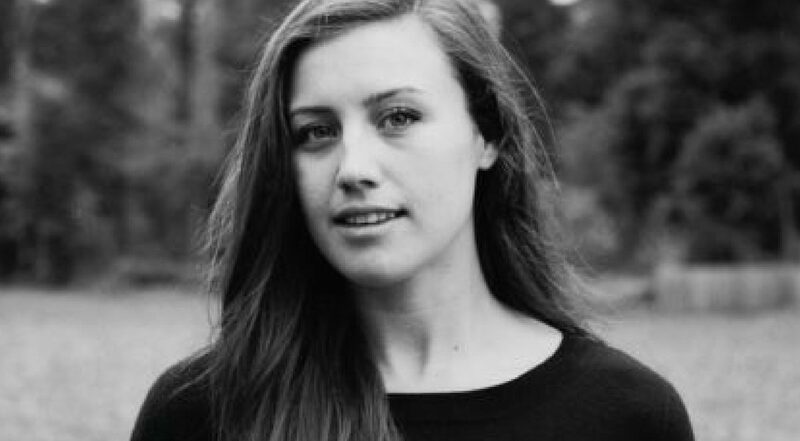 Anna Bracewell is a professional dance artist and teacher who performs with CORE Performance Company and staibdance. She enjoys long walks on the beach and shopping on the weekend. We sat down with Anna to talk about dance as her natural outlet, encouraging her students to take risks, and constantly growing as a dancer. My mother was a dancer and danced all throughout growing up and going to college, and then was a teacher after that, so I like to turn the reason why I’m a dancer over to her. I started when I was about 3 and I’ve never stopped. I think I took one year off of when she made me play a sport in elementary to please my dad, but it didn’t last. Ever since I was 3 years old, it’s never stopped, it’s always clicked, and I like to give my mom the credit. What is it about dance that “clicked”? It’s hard to say when you start at such a young age, but it’s always been a clear outlet for me, a way to express myself. it’s always been my perfect outlet for discipline and the way I like to learn — I’m a very kinesthetic learner. I feel like it chose me. I think often about dance as something my body tells me I need to be doing. I think that it’s all about sharing knowledge. I haven’t taught very long, but I’ve always thought that when I get the knowledge from someone, it’s important for me to share it with someone else. I feel like it would be selfish for me to learn something that has changed me, or meant so much to me, and not give it to someone else. I feel like that’s really important, especially with this generation that we’re teaching, they’re the ones that are going to change the future and carry it on, so why let the knowledge stay in my body? I feel it’s important to pass on any kind of information and I get more excited about learning something and figuring it out in my body and then being able to give the students that, too. That inspires me, passing things that I think are important, things that have really resonated in my body or that have changed my mind about dance. That’s what I like to offer. What is your proudest/most exciting moment as a teacher? I don’t know if there’s one instance specifically, but I love the moments when they let their guards down or take a risk and, even for just a moment — and I love to tell them this — you get to watch them fly. It’s usually in the bigger things, when they get to jump or leap or something where I really see them say, “Forget it. I’m just going to try something,” and totally unarm themselves and just go for it. You can see those instances where you’re like “that’s what it’s supposed to be” and I try to encourage that out of them. It’s hard, but also a fun challenge to empower them when teaching ballet because it’s so strict and you have to do it a certain way and the technique can be very square, but I’m enjoying pulling foundational things from ballet that will also relate to all other techniques. I don’t want them to all look the same or do the same things and that’s why I like to see them flying, where they’re doing the movement and suddenly it just clicks for them. Then when you tell them that’s what you’re looking for, suddenly they realize that they don’t have to be doing it like their peers. And that’s what it’s about, fulfilling the movement in yourself. What has been your proudest/most exciting moment as an artist? I’ve had a really eye-opening year this year, specifically. I work with CORE Performance Company — I’m a company member there — and we’ve had some really exciting choreographers and works we’ve worked on this year: Niv and Oren (of Niv Sheinfeld & Oren Laor Dance Projects) from Israel, and we just finished working on a project with Germana Civera, a Spanish-French choreographer. Both of their approaches have really opened me up. I’ve been able to push past some comfort zones and open myself up to new things I didn’t think were possible, I took risks that I never thought I could take and kind of colored my world a lot more than I ever. I feel like these two projects have really shaped my outlook on dance and approaches to movement and my possibilities in myself and made myself proud this year. Is there anything specific about working with these choreographers that “opened you up”? With Niv and Oren, it was more to me about safely pushing my body to extremes or mental capacity to extremes, the possibilities of what my physical body and mind were capable of. With Germana, it was taking care of my body in an extreme and whole other sense. She blew my mind with a whole lot of things, but it was minimal physically a lot of times, and I found some new approaches to care for my body, which were really foundational things where it feels like you’re doing nothing but you’re warming yourself up from the inside out instead of from the outside in. They both blew my mind in two different directions to the point where I ask what else is possible? I can do anything now! I don’t have a strict one, but I am all about creative empowerment, especially because I only teach ballet here. So, I like to use creative empowerment to dig the foundations out of ballet or to help the students better understand the foundational elements, things in ballet that can be applied to any other technique or any kind of movement, but not to be strict and so disciplined with it. It’s just about finding those moments where they’re flying or finding those different moments where they can dive deeper in. Something that’s resonated with me recently, though I can’t remember who told me this, is: “You have everything to share and nothing to prove.” I think that resonates with me in a lot of different ways, but for me right now, especially in my teaching, performing, and process, the idea that I don’t have to prove anything anymore, it’s just sharing: sharing with the audience, students, or with myself. What do you like most about teaching at Moving in the Spirit? I am totally enthralled with the students and I know that I only teach a portion of them, but I leave every time so inspired by them, their possibilities, and their commitment and accountability for themselves. I think that’s all created and fostered by the environment that Moving in the Spirit provides. Everyone that works here is like a giant family and I just think that’s really unique in that everybody who works here is fostering a really rare, unique, and special environment that’s nurturing. It feels like home. Anna teaches ballet to our advanced teen company, the Apprentice Corporation! Learn more about Anna here.